Have you noticed changes in your skin over the years that leave you looking far older than you feel? If so, Dr. Jeffrey Goldblatt at Shoreline Medical Spa offer skin tightening treatments that are worth exploring. Advancements in aesthetics technology have made it possible to achieve astounding results with very little downtime. Call the Deep River, Connecticut, med spa to book an appointment today to begin your own skin tightening journey, and look forward to turning back the hands of time. Online scheduling is also available so you can find a time that fits your busy life. Why does my skin get looser as I age? Just beneath the surface of your skin lies a layer of collagen, a natural substance that creates the plump, full facial look associated with youth and vitality. As you age, this layer of natural padding slowly wears away. Without that soft padding, your skin is left to droop into wrinkles and folds. Your skin’s elasticity is also negatively affected by sun damage and exposure to environmental toxins like cigarette smoke and certain chemicals. All of these factors can combine to make you look older than your years. Skin tightening is an aesthetic treatment that works to improve your dermal layer, giving you enhanced facial fullness by harnessing your body’s natural healing powers. Also known as photorejuvenation, skin tightening involves creating microscopic injuries that stimulate your healing response. How does skin tightening with TempSure Envi® work? TempSure Envi is the newest technology in radiofrequency that has been designed carefully with comfort in mind. The treatment can feel as comfortable as a hot stone massage with effective results. During treatment, TempSure Envi delivers radiofrequency energy through the epidermis into the dermis. When the dermal layer is heated, it is a controlled injury that your body then protects by healing and growing new collagen. Is skin tightening a painful process? Most men and women tolerate TempSure Envi treatments very well and report no significant discomfort during sessions. If you have especially sensitive skin, a topical numbing cream can help reduce sensations during your session. How long does it take to see results from skin tightening? TempSure Envi leaves you with a natural glow and clients leave looking plumper. This is referred to as the “Cinderella Effect,” since one to three days after your procedure, the area treated will have a temporary “post-treatment glow.” It can take up to two weeks post-treatment for the fibroblasts to recognize and initiate the collagen-building process. Optimal results will be seen around three to six months post-treatment, so there is enough time for collagen to rebuild itself. TempSure Envi is an easy comfortable and non-invasive procedure with no downtime! Patients may experience slight redness immediately post-treatment, which is due to your skin’s elevated temperatures during the procedure, and this will subside soon afterward. Your day to day activities may be resumed immediately after your procedure. 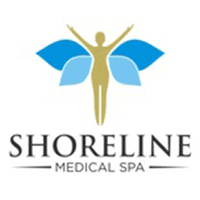 If you’re ready to begin a path toward tighter, smoother, and more youthful skin without invasive surgical procedures, schedule a consultation either online or over the phone with Shoreline Medical Spa today.